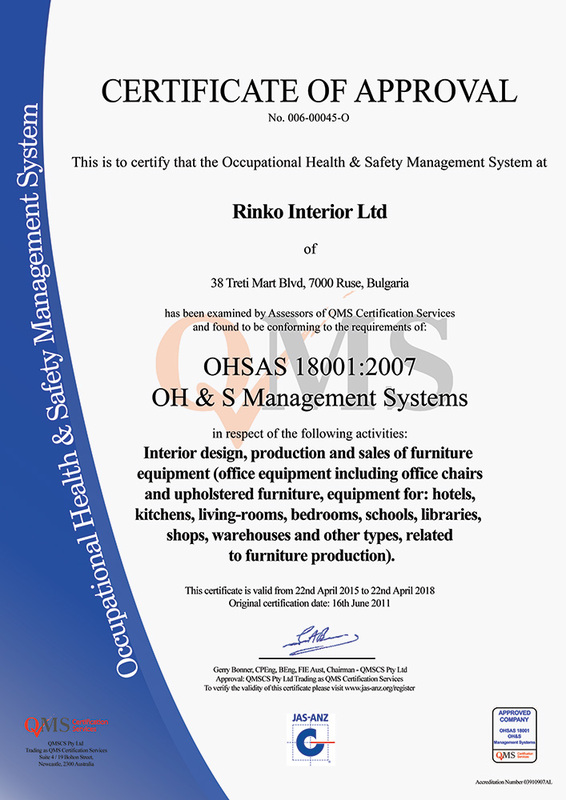 Certificates - RINKO-INTERIOR LTD.RINKO-INTERIOR LTD.
Rinko-иnterior Ltd. has necessary certificates according to international requirements for quality of technological processes and production, for environmental protection and work safety. 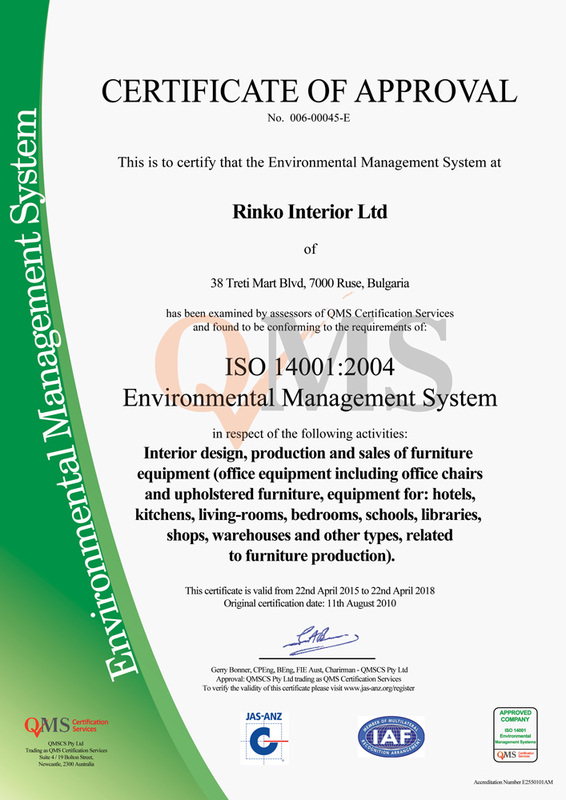 In 2011 Rinko-иnterior Ltd. won award for a beneficiary of the year. The award is adjudged for successful absorption on competitiveness program. On this program a successful realized projects are 2. 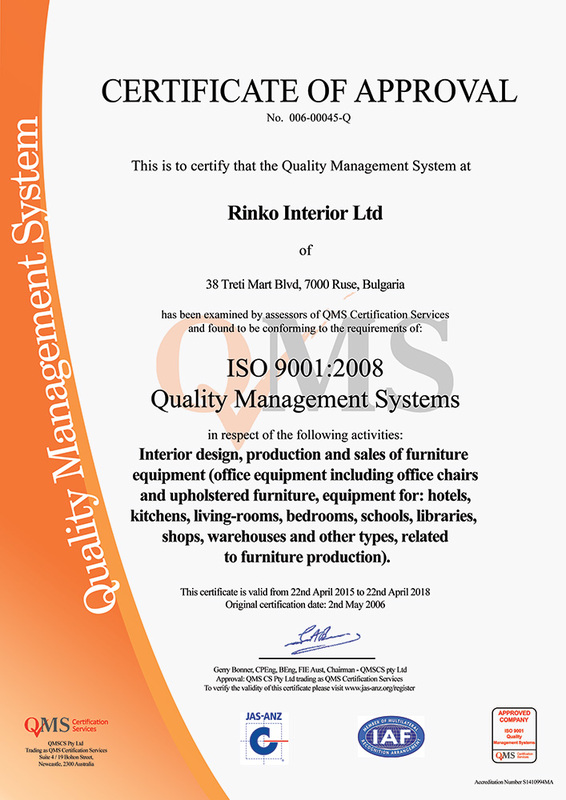 They allow to the firm to buy new technique and the production of high class veneered furniture and furniture from massive too. • The first project is realized in 2010 when are purchased kitchen robot, painting camera line for veneering, 2 grinds, machine for cutting and for veneer splicing. • The second project is achieved in 2011. Through it are purchased robot with 5 axis, cutting machine and vacuum press. The projects achievement helps for production raising and quality of offering products and services.